Having now reached over 20,000 homes, there are some of residents who want to share their broadband story. Take a look at our testimonials below to see how fibre broadband can change the way you’re connecting to the world wide web. With high-speed broadband the whole household can be online at the same time and you can access online services from the comfort of your favourite chair. 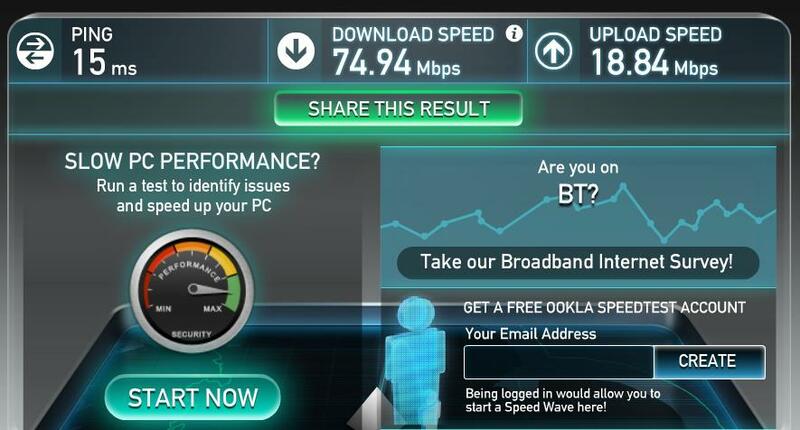 “I have now had BT Infinity 2 installed on the new Great Easton cabinet and I have had a download speed of 76mbps and an upload speed of 18 mbps. I was the second person in Great Easton to be migrated to the new cabinet. However I am the first in the new cabinet to have Infinity 2 installed. I am very pleased with the performance thus far although I have to give the line speed 15 days to settle in, the Open Reach engineer informed me. I used to use broadband for both work and leisure, but I retired last year and so now use it more frequently for leisure. I find the internet to be invaluable even (or should I say especially) in my retirement. I recently invested in Pensioner Bonds for the over 65s online and use other online services like banking and shopping. I also use the internet for streaming the latest television programmes and films meaning that high-speed, for me, was a necessity. I heard about superfast broadband when trying to improve my previous 3kmbps speed. Open Reach informed me that Great Easton would ‘not’ be upgraded to superfast broadband unless the Superfast Leicestershire broadband initiative subsidised the implementation. You can also read our business case studies here to find out more on how fibre broadband could change the way you work, from home or at the office. If you’d like to share your fibre broadband story on our testimonial page please contact info@superfastleicestershire.org.uk so we can spread the word about Superfast Leicestershire.